As a Notary Signing Agent, regardless of where you hold your commission, you could be presented with a deed, mortgage or deed of trust for notarization that requires a witness (or witnesses). But in your state, signature witnesses may not be required. Who makes the rules? First, let’s be very clear that a signature witness and a credible witness are not the same thing. While a credible witness is used to identify the signer, a signature witness is only present to witness the signing of the document. Neither is a signature witness the same as a witness to a signature by mark made by a signer with a physical disability who cannot write his or her name. Rather, a signature witness is sometimes required for recording a deed or mortgage related to real property. The requirement is dictated by the state where the document will be recorded, not the state where the signing occurs. You could hold a Notary commission in a state that requires extra witnesses, and it will be your regular practice to obtain the signatures of witnesses on documents. Or, you could hold a commission in a state that does not require witnesses, but be asked to obtain additional signatures of witnesses for a deed or mortgage that will be recorded in a state that does. So, which states require signature witnesses? There are five states: Connecticut, Florida, Georgia, Louisiana, and South Carolina. 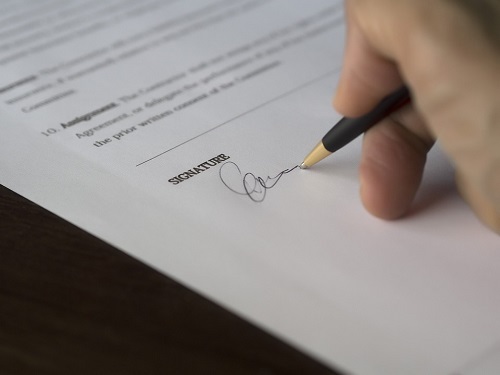 Since the combination of state of record with state of signing may change what you can or can’t/should or shouldn’t do, knowing what to consider is key. The issuing agency is responsible for providing clear instructions about witnesses to the Signing Agent. That said, it is the Notary’s responsibility to obtain the necessary signatures of witnesses on the documents when required. The signer provides the witness, not the Signing Agent. All five states except Georgia require two witnesses. In certain states you can act as both Notary and witness, while in others you can’t. In Connecticut, Florida and South Carolina, the Notary may act as a witness; in Georgia and Louisiana, the Notary may not. For Notaries with commissions in a state not requiring additional witnesses, take note that some states allow the Notary to be a witness, while certain states do not. The District of Columbia and Maine have strong recommendations against it, while Georgia, Kansas and Washington restrict it outright. Signature witnesses do not need to be identified and their signatures are not notarized. As with any signing assignment, taking time to prepare will save you, and your signers, potential headaches. Prescreen your documents prior to the signing to see if a witness is required. Carefully read all instructions from your contracting company related to required witnesses. If you’re unsure if witnesses are required, take the initiative and ask your contracting company about it. Be clear about your own state’s permissions and restrictions about a Notary acting as a witness. Be sure the signer knows they must have witnesses to attend the signing. Although the individual with the signer is a signature witness, and not a credible witness, the NNA suggests you add the witness’s name to the additional information or notes section of your journal. Even in the limited situations when a Notary can also witness the document, don’t serve as both unless absolutely necessary, and don’t volunteer to be both Notary and witness. Having an additional set of eyes witnessing the signature could be helpful if some part of the transaction is questioned in the future.